Kiss Bail Bonds - Kiss Bail Bonds, Inc.
We will be there quickly to secure the immediate release of the person being detained in jail. Trust us to help you get out of jail FAST. Kiss Bail Bonds bail bondsmen are on duty 24/7 to serve your needs. We invite you to call us for a confidential quote right now! We can also offer a payment plan if you qualify. We make those decisions on a case by case basis because every situation is different. Our rates are competitive. NO HIDDEN FEES! 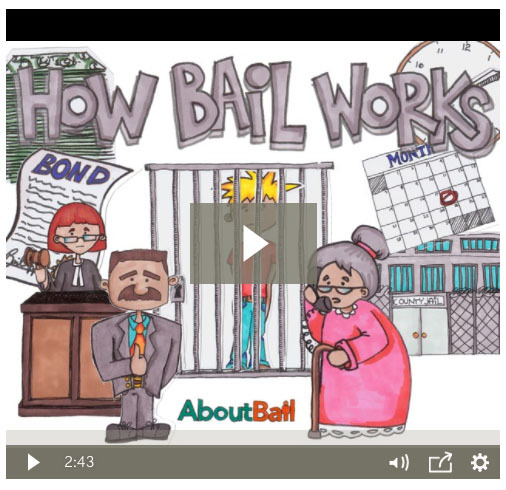 If you are here, you must be looking for an experienced bail bondsman who knows the ropes! We know you are in a very stressful situation at this moment so call and let us help you navigate what can be a complicated and confusing process. Getting out of jail is your priority right now; and helping you to be able to do that is ours, regardless of the size of the bond. We offer reliable help when you need it the most and we can help you to understand the bonding process so that you can make decisions that are right for you and your loved ones. If you are looking for fast, affordable, personal and professional bail bond or warrant service for yourself or a loved one you’ve come to the right place! Our bail bondsmen are easy to work with. We pride ourselves on being non-judgmental and understanding of your needs. No one will talk down to you.